In these litigious times, protecting your money from a lawsuit means more than locking it up in bank vault. This is what one might do when assets consist of instruments like paper securities, coupon bonds, or even cash. Simply insuring them against theft, damage, or what insurance companies refer to as an “act of God,” may not be enough to keep them secure either; especially not from a determined and cunning creditor. This is especially true in the US. The US has 4.4% of the world’s population, 80% of the world’s lawyers and 96% of the world’s lawsuits. So, what do you do to protect your liquid assets from a lawsuit? When your assets are at risk of seizure it becomes more of a necessity than a luxury. There are strategies to protect your money, income, cash and home from creditors, divorce or other financial perils. Preferably, act before someone sues you. If needed, you can do so after. This article will tell you how. What Can You Do to Protect Your Money? How can you make sure the assets you worked hard for do not end up lining the pockets of your opponent? A disgruntled ex-employee or an unsatisfied client with an ax to grind? The best way (perhaps one of the only ways) to truly protect yourself is not to hide your assets. It is to divest yourself of them. When you don’t own anything, it is likely your creditors won’t get anything. This is so even if they manage to legally wrangle a judgment in their favor. But when you divest yourself of your assets, do you then end up with nothing as well? Does that not defeat the purpose of enjoying the benefits your assets can provide? Not necessarily. Establishing a trust or a LLC has proven to be an effective means of separating yourself from your assets. It builds a wall around them that can protect your money from predatory claims. Although these tools are quite different from one another, both can provide a significant degree of security for your assets. You can establish an asset protection trust or an LLC domestically or within an international jurisdiction. Once again, both options come with unique advantages. Do a careful study of each instrument as well as of your specific goals and intentions. This will help you decide with option will work best for you. A trust is aptly named. It is essentially a relationship or arrangement that is made possible by mutual trust among the parties involved. The creator of the trust, the settlor, cedes ownership of and control over his or her assets. He or she turns them over to the trust. The manager of the trust is called the trustee. The trustee can be one person, a group of people, or even a corporation. They hold the assets in trust for the beneficiaries named by the settlor. The trust document names the trustee when it is established. The trustee does not necessarily derive any benefits directly from the assets. Professional trustees, of course, are paid for their services in accordance to the terms of the trust. If you question the thought of giving up control in exchange for protection, keep this in mind. You only do this if the courts would take the money. We place an LLC inside of the trust. You are the manager of the LLC. Likewise, you are the signatory on the bank accounts. You hold these positions until doing so would leave you subject to a court order to bring back the money. At that point, the trustee company steps in to do what you have them to do: To protect your money. Don’t get caught like the monkey who gets captured because he won’t pull his fist out of the jar. Sometimes you need to let go of the peanut and escape danger so you can enjoy your freedom. The trust strategy lets you do just that. You put your assets it in a vehicle that lets you enjoy them. At the same time, your money is protected because your legal enemy cannot freeze and seize. 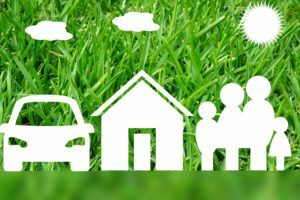 It is the beneficiary or beneficiaries, such as you and your family, who enjoy the benefits of the trust assets. By distancing yourself from your assets, you place them beyond the reach of creditors. That is, those who may win a judgment against you. And you do so without depriving your dependents of the benefits of the assets. Certain types of trusts, to some degree, permit a settlor to be a beneficiary as well. This is, according to the terms of the trust statutes and a carefully-worded trust deed. 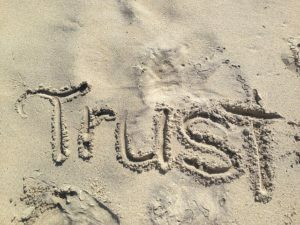 For a trust to be truly effective,it must be an irrevocable trust. That is, it must be in order for it to safeguard the assets that funded it. This means the judge cannot force you to change the wording of the trust. He cannot order you to make your legal enemies the beneficiaries. 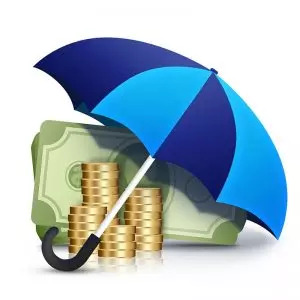 As a settlor, you can also include a spendthrift clause to protect your money. This prevents a creditor from claiming an interest on any undistributed income from the trust. Should he or she win a judgment against the settlor or beneficiary, those individuals do not lose trust assets. At the same time, the trustee can legally continue to make third-party distributions. These are made on behalf of the beneficiary as long as this does not violate the terms of the trust. When is best time to set up an asset protection trust? Before a creditor files a lawsuit against you, of course. US courts are often skeptical about assets you transfer into a trust after the cause of action. 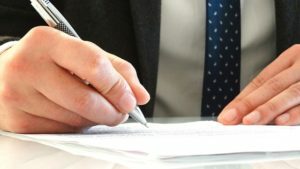 This can be a divorce, contract dispute, car crash or the dissolution of a business, for example. It is ideal to establish the trust early. That is, before a someone actual files a case against a debtor in court, and before the cause of action. That is, do so before the event happened that triggered the lawsuit. A sympathetic judge may look at such an asset transfer as a fraudulent conveyance. They could disallow the protection of the trust assets, thereby rendering them within reach of creditors. Offshore asset protection trust take the assets out of the jurisdiction of the local court. Offshore trustees are not subject to US court orders, for example. We use our offshore law firm as the trustee. The trustees are licensed bonded, insured and, today, they have track records reaching back several decades. An LLC combines the limited liability protection of a corporation with the favorable tax benefits of a partnership. An LLC has a unique legal identity that is separate from the people that own it. The owner are called members. (We do not call them shareholders because an LLC does not issue shares.) An LLC offers asset protection somewhat like a trust does. But it is also a legitimate business entity. It can engage in commercial or trading activities as set forth in the statutes and the articles of organization. Members can enjoy the benefits that an LLC generates, including salaries, perks, and bonuses. However, members do not own any of the company’s assets directly. So, creditors have a challenge claiming them to satisfy a judgment against an LLC member. You have to be especially careful when setting up an LLC. The protection it can provide your assets largely depends on the the courts viewing it as a legitimate company. If a creditor can prove that the LLC is nothing but a sham company that you set up improperly, there will be trouble. They will see if it was setup incorrectly just to hide a member’s assets from creditors. If so, then a court can rule that debtor-member actually owns the assets, not the LLC. This means the assets can be used to satisfy a judgment against a debtor-member. 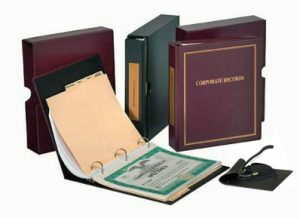 LLC members must file the required documents. They must pay the prescribed fees and observe the legal formalities of an LLC. Then they need to engage in the activity as described and stipulated in their articles of organization. Alaska, the penultimate state to join the United States (January 1959), just happens to be the first US jurisdiction to formulate and enact laws regarding Domestic Asset Protection Trusts (DAPT). Other states soon followed. This includes Nevada, South Dakota and Tennessee. These are currently the three top-ranking states with the most effective domestic asset protection trust legislation. As domestic asset protection options become more popular in the United States, US jurisdictions will be forced to ‘step up their game.’ They will need to offer better protection laws, more comprehensive services, and more cost-effective alternatives. One of the major drawbacks of domestic asset protection trust is this. And this is a glaring drawback. The trust and its assets are under the control of US judges. So, you may have a fancy trust. But the judge may not care and confiscate its assets, anyway. We have seen it happen. Plus, they have a relatively longer statute of limitations. That gives creditors a plenty of opportunity to bring lawsuits against the settlors or beneficiaries within a specified time period. Domestic LLCs allow for a more constricted window of opportunity. But it still does not nearly match the strength of most offshore asset protection instruments. Additionally, more and more states consider enacting their own asset protection laws. Nonetheless, there is currently little uniformity in this field. Furthermore, the legal landscape continues to be in a state of flux. Thus, you may find your assets safe from an attack emanating from within the state of formation. But an attack from a federal administrative agency or a federal court may interpret the law differently. For example, in Nevada the assets are theoretically protect in that state after six months. To do so, you must publish the asset transfer in a local newspaper. But the federal bankruptcy court says that the trust does not protect the assets that soon. They say that the assets must have been been inside of the trust for at least 10 years. In general, the IRS doesn’t tend to scrutinize money you protect in offshore trusts and LLCs more closely than domestic trusts and LLCs. 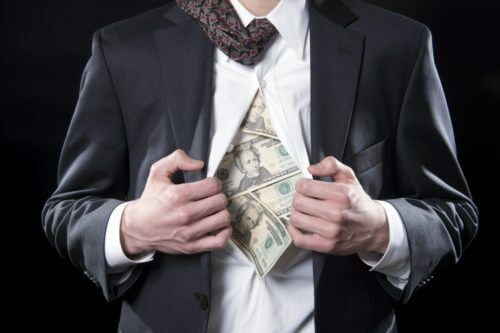 The common perception among the layperson is this; that individuals who turn to these international asset protection instruments have something to hide from Uncle Sam. The fact is, as long you report the trust and its income, the IRS does not care. As these trust become commonplace, yours is just one of the thousands. Establishing an offshore trust and LLC to protect your assets from a lawsuit can give tremendous peace of mind. Not only that, but it grants genuine and powerful protection beyond the reach of the local courts. Most offshore jurisdictions that specialize in asset protection do not recognize foreign judgments. As sovereign countries, they insist that a creditor starts all over again. They must file a new lawsuit and plead their case in their local court. As you might guess, the courts in these countries are not creditor friendly. Their legislatures have written the laws to side with the debtor. Moreover, this can be a surprisingly expensive undertaking for the person who obtained a judgment against you. This, by itself, may be enough to deter none but the most determined creditor. Nevis for example, requires a creditor to deposit the sum of $100,000. Your opponent must pay this to the Ministry of Finance before a legal procedure regarding a Nevis LLC member can even begin. In addition to the expense, many offshore jurisdictions limit the scope and effectivity of common creditor remediation. One example is the Mareva injunction (a freeze order) or a fraudulent conveyance ruling. Belize trust law does not recognize either for many common debts when a Belize trust holds the funds. Other countries attempt to mitigate the effectiveness of these tactics by imposing a strict time limit on their legal validity. Some uninformed would-be settlors and LLC founders may balk at the thought of protecting their money this way. They are afraid of entrusting their assets to a small nation rather than to the imaginary fortress of the USA. However, these offshore locations (such as Belize or the Cook Islands) permit you to hold your assets elsewhere. You can hold them in Swiss banks, for example. You can do so without giving up the protection and benefits that an offshore trust or LLC provides. Protecting your assets from judgments may mean giving up a certain amount of control over them. People gladly to this in exchange for insulating themselves against frivolous claims. After all, if they have control then a judge could force them to use that control and hand over the assets to their creditor. At that point, the only one in control is the judge. Establishing an asset protection trust and an LLC is an excellent option. This is because you now have a remote control device inside of the trust (the LLC) that you can use to manage trust assets. There are benefits and limitations to using domestic and international trusts and LLCs to secure your assets from lawsuits. No matter what asset protection instrument you choose, it is best to make this decision before someone files a lawsuit against you. To borrow the essential meaning of Benjamin Franklin’s adage, an ounce of prevention is indeed worth a pound of cure. In this case, securing your money as early as possible can not only protect them. It can also spare you and your intended beneficiaries from what may be a costly and protracted court battle against a determined creditor.